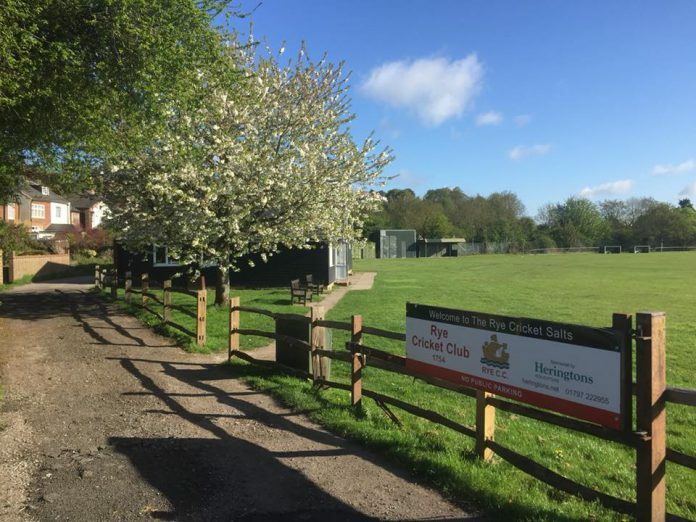 Rye Cricket Club is gearing up for the 2019 season this Saturday, with the NatWest Cricket Force weekend. A large number of jobs will be completed on Saturday to ready both the pavilion and the Rye Cricket Salts for the forthcoming summer. The club has been very busy this winter. The 2nd Indoor 6 made up of mainly colts have won the Hastings Indoor League Division 3. This was a excellent performance by the future members of Rye Cricket Club, and testament to the hard work of all involved in developing and encouraging young people to enjoy the game of cricket. The winter coaching programme has been well attended with more than 45 colts participating on Wednesday evenings at Rye Sports Centre. This summer Rye will be fielding colts teams at Under 9, Under 11, Under 13, Under 15 and Under 18. The club is always looking to welcome young people to participate, from ages 5-18. To this end Rye Cricket Club is hosting a Primary Schools Cricket Tournament on Wednesday July 10, as part of its colts strategy. The club is hosting a signing on night on Friday April 26 at 7pm at the Rye Salts cricket pavilion. The summer coaching programme is expanding this year, and will take place on two nights a week. On Wednesday nights 6pm to 7pm will be Under 11 to under 13 Coaching and 7pm to 8pm will be Under 15 to under 18 Coaching, starting May 1. On Friday nights 6pm to 7pm will be the ECB All Stars Programme and Primary Taster sessions from May 3. The costs are £30 for Under 9s and £60 for all other colts. This covers all 12 coaching sessions, all games of cricket played and family membership of Rye Cricket Club. To get your son or daughter involved please contact Martin Blincow on 07535482006 or email blincsfamily@aol.com. Image Credits: Rye Cricket Club.